Back on September 15 of 2011, we provided Chart-Cast Pilot members with a special report on Strategic Diversification. We used our three levels of engagement in Netflix to provide that presentation. 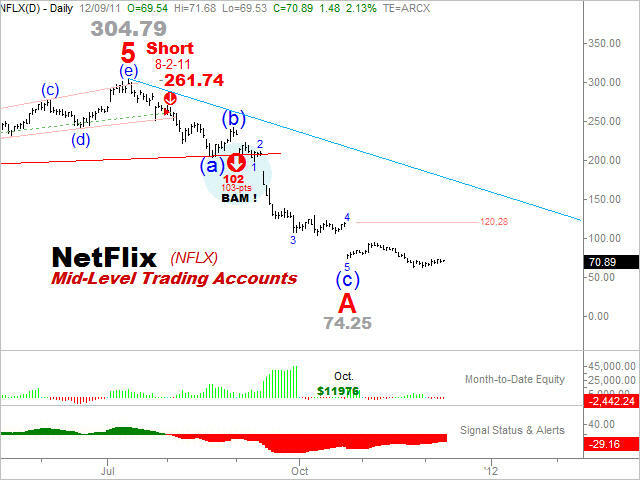 Though hindsight always provides 20/20 vision, there was no such hindsight assistance in navigating the precipitous collapse that was to occur in Netflix back on September 15, 2011. The chart below reflects the wreckage three months later.